Zwaka H, Bartels R, Gora J, et coll. Context odor presentation during sleep enhances memory in honeybees . Current Biology 2015, 25:2869-74. Melnattur K, Dissel S, Shaw P. Learning and memory: do bees dream? Current Biology 2015, 25:R1040-1. Creery J, Oudiette D, Antony J, et coll. Targeted memory reactivation during sleep depends on prior learning . Sleep , 2015, 38:755-63. Kurdziel L, Duclos K, Spencer RM. Sleep spindles in midday naps enhance learning in preschool children . Proceedings of the National Academy of Sciences USA 2013, 110:17267-72. Antony JW, Gobel EW, O'Hare JK, et coll . Cued memory reactivation during sleep influences skill learning . Nature Neuroscience 2012, 15:1114-6. Beyaert L, Greggers U, Menzel R. Honeybees consolidate navigation memory during sleep . Journal of Experimental Biology 2012, 215:3981-8. Diekelmann S, Büchel C, Born J, et coll . Labile or stable: opposing consequences for memory while reactivated during waking and sleep . Nature Neuroscience 2011, 14:381-6. Payne JD. Sleep on it ! stabilizing and transforming memories during sleep . Nature Neuroscience 2011, 14:272-4. 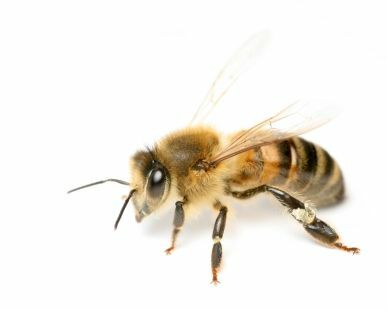 Klein B, Klein A, Wray M. Sleep deprivation impairs precision of waggle dance signaling in honeybees . Proceedings of the National Academy of Sciences USA 2010, 107 :22705-9. Rasch B, Büchel C, Gais S, et coll. Odor cues during slow-wave sleep prompt declarative memory consolidation . Science 2007, 315:1426-9. Wilson M, McNaughton B.Reactivation of hippocampal ensemble memories during sleep . Science 1994 265:676-9. Entrée libre mais, en raison de Vigipirate, les inscriptions sont obligatoires sur le mail du CEV (centre_etudes_du_vivant@univ-paris-diderot.fr). Les personnes devront se munir du mail de confirmation de la réservation à leur nom et de leur pièce d'identité pour pouvoir accéder au bâtiment Buffon.